Whether you're a long-time resident of the city or you're just in town for the summer and looking for a luxurious way to beat the heat, planning a beach getaway to the Hamptons from New York City is surprisingly easy—if not a little expensive, depending on what you do. Whether you’re a seasoned visitor with a three-month house share or a stranger to this distant, dreamlike realm sprinkled with wide swaths of beaches and celebrity mansions, the Hamptons is a fun and relaxing scene accessible to anyone and everyone, especially for those based in Manhattan. The Hamptons refers to the stretch of beach towns located approximately 75 to 100 miles east of Manhattan on the eastern end of Long Island. The area includes the towns and villages of Southampton, such as Westhampton, Quogue, and Bridgehampton, as well as the towns of East Hampton, which include Amagansett and Montauk. With easy access by train, bus, or car and several beaches to choose from, avoiding the crowds at Coney Island and the Rockaways in New York City and heading to the Hamptons instead are sure to make for a more relaxing escape from the bustling City That Never Sleeps. You don't need a car to spend a summer in the Hamptons as traveling to the Hamptons via train or bus is easy and fairly inexpensive, but having a vehicle of your own on Long Island is certainly helpful for getting from place to place quickly—without having to spend tons of money on rideshare apps like Uber or Lyft. The cheapest and fastest option for getting to the Hamptons is to take a train on the Montauk Line of the Long Island Rail Road (LIRR) from Penn Station in Manhattan. However, you can also book reservations on two bus services to the Hamptons: the Hampton Jitney, a moderately inexpensive standard ride or the Hampton Ambassador, a luxury bus with more legroom and complimentary snacks, beverages, and feature movies. If you already have a vehicle, it's relatively simple to get to the Hamptons and takes just under two hours. Once you leave Manhattan, take the Long Island Expressway (I-495) toward Long Island until you reach Exit 70. Take Exit 70 toward New York Highway 27 (NY-27), which is also known as Sunrise or Montauk Highway. This route goes through all of the Hamptons towns and villages and is basically the only way to navigate around the area. The beaches of the Hamptons are popular destinations for locals and tourists of all ages and levels of wealth and class, so finding the right beach for you comes down to what crowd you're looking to be around—or if you'd rather not be around a crowd at all. Sagg Beach, Flying Point, and Main Beach are popular among the college and early 20s crowd, who gather there en masse with tailgate coolers and Ultimate Frisbee games. On the other hand, Gibson Beach is a small and intimate stretch of coastline with rolling dunes and pristine sand frequented by far fewer visitors. If you're looking to explore one of the wealthier neighborhoods after a day at the beach, you can bring your bike to Wainscott Beach and ride through the nearby mansions of the rich and famous. 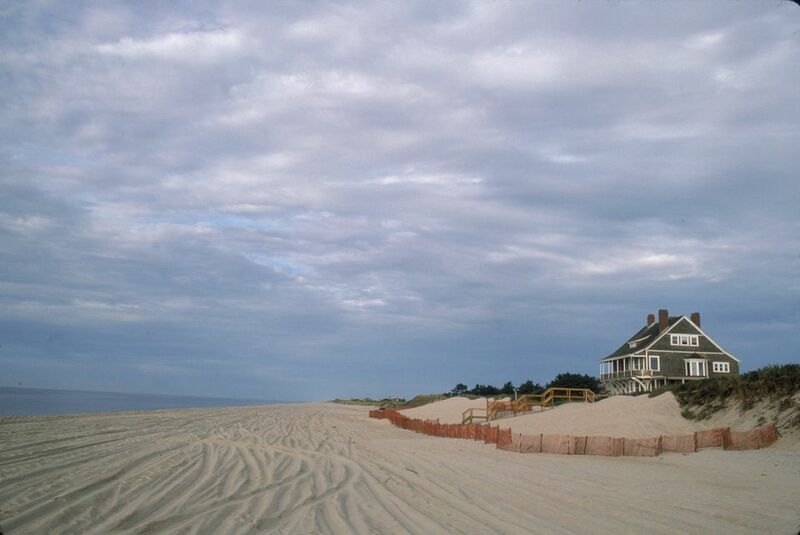 If you opt to drive, keep in mind that parking permits are required to park at many beaches in the Hamptons. Where applicable, you must display a valid village parking permit on your vehicle during the height of beach season. ​If you're looking to take a cheap day trip from the city, Ocean Road Beach has relatively inexpensive parking and a diverse crowd.